Research shows that about 1 in every 4 American adults has high blood pressure, also called hypertension, which is a major risk factor for heart and kidney diseases, stroke, and heart failure. If this could be the case in America in spite of their health awareness and medical exposures, one wonders how devastating the statistics of the incident could be in African and particularly in Nigeria where medical knowledge and awareness is relatively at a very low ebb. 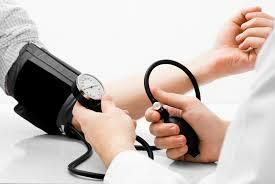 High blood pressure is especially dangerous, because it often gives no warning signs or symptoms. Fortunately, you can find out if you have high blood pressure by having your blood pressure checked regularly. If it is high, you can take steps to lower it. Just as important, if your blood pressure is normal, you can learn how to keep it from rising. People who are physically active have a lower risk of getting high blood pressure — 20% to 50% lower — than people who are not active. You don’t have to be a marathon runner to benefit from physical activity. Even light activities, if done daily, can help lower your risk. Get moving to prevent hypertension. “Physical activity is crucial,” says Ogedegbe. The more exercise you get, the better, but even a little bit can help control blood pressure. Moderate exercise for about 30 minutes three times a week is a good start. Often, when people with high blood pressure cut back on salt, their blood pressure falls. Cutting back on salt also prevents blood pressure from rising. For many people, eating a low-sodium diet can help keep blood pressure normal. “The higher the sodium intake, the higher the blood pressure,” says Ogedegbe. You can cut back on your total salt intake by avoiding high-sodium packaged and processed foods and not adding extra salt to your meals. “I tell people to stay away from salt shakers,” adds Ogedegbe. Drinking too much alcohol can raise your blood pressure. To help prevent high blood pressure, limit how much alcohol you drink to no more than two drinks a day. The “Dietary Guidelines for Americans” recommends that for overall health, women should limit their alcohol to no more than one drink a day. Drinking too much alcohol can lead to high blood pressure. For women, that means no more than one drink a day, and for men, no more than. Stress can make blood pressure go up, and over time may contribute to the cause of high blood pressure. There are many steps you can take to reduce your stress. The article on easing stress will get you started. When it comes to hypertension prevention, your weight is crucial, says Dr. Ogedegbe. People who are overweight should try to lose weight, and people of normal weight should avoid adding on any pounds. If you are carrying extra weight, losing as little as 10 pounds can help prevent high blood pressure. Talk with your doctor about the best weight for you. Being overweight can make you two to six times more likely to develop high blood pressure than if you are at your desirable weight. Even small amounts of weight loss can make a big difference in helping to prevent and treat high blood pressure. Eating healthful foods can help keep your blood pressure under control. Get plenty of fruits and vegetables, especially those rich in potassium, and limit your intake of excess calories, fat, and sugar. Consider following the Dietary Approaches to Stop Hypertension, or DASH, diet, which has been shown to help manage blood pressure. OTHER NUTRIENTS THAT MAY ALSO HELP PREVENT HIGH BLOOD PRESSURE. Eating foods rich in potassium will help protect some people from developing high blood pressure. You probably can get enough potassium from your diet, so a supplement isn’t necessary (and could be dangerous without a doctor’s oversight). Many fruits, vegetables, dairy foods, and fish are good sources of potassium. Populations with low calcium intakes have high rates of high blood pressure. However, it has not been proven that taking calcium tablets will prevent high blood pressure. But it is important to be sure to get at least the recommended amount of calcium — 1,000 milligrams per day for adults 19 to 50 years old and 1,200 mg for those over 50 (pregnant and breastfeeding women also need more) — from the foods you eat. Dairy foods like low-fat milk, yogurt, and cheese are good sources of calcium. Low-fat and nonfat dairy products have even more calcium than the high-fat types. A diet low in magnesium may make your blood pressure rise. But doctors don’t recommend taking extra magnesium to help prevent high blood pressure — the amount you get in a healthy diet is enough. Magnesium is found in whole grains, green leafy vegetables, nuts, seeds, and dry peas and beans. A type of fat called “omega-3 fatty acids” is found in fatty fish like mackerel and salmon. Large amounts of fish oils may help reduce high blood pressure, but their role in prevention is unclear. Taking fish oil pills is not recommended, because high doses can cause unpleasant side effects. Most fish, if not fried or made with added fat, is low in saturated fat and calories and can be eaten often. There has been some evidence to suggest garlic’s effect in lowering blood pressure, in addition to improving cholesterol and reducing some cancers. Further research is being conducted to fully assess garlic’s potential health benefits.